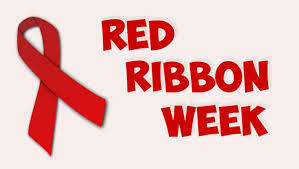 Next week, students and staff will be celebrating Red Ribbon Week. Red Ribbon Week is a national campaign to support communities in educating youth and encourage participation in drug prevention activities. Our student lighthouse team has chosen the following themed days to bring awareness to drug prevention. Please encourage your students to participate in these dress up days.